Researchers here have invented a 3D-printed scaffold to grow bone for placing dental implants after a tooth has been extracted. This could eliminate the need for painful bone grafting, in which bone is taken from other parts of the patient’s body. 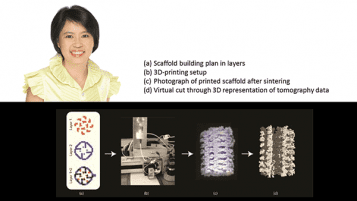 The scaffold was developed by dental surgeons from National Dental Centre Singapore (NDCS) and bioengineers from Nanyang Technological University over the past five years. They say it is “the first of its kind in the world in terms of design and material” and plan to roll it out around three years later.